Throughout my reviews of this show, I’ve consistently praised This is Us for its adept emotional manipulation. Some have seen that as a dig or a compliment at its most backhanded, but I don’t see it that way. When a show is as good at achieving its goal as This Is Us is, then it’s ultimately successful. It might not be able to reach some intangible emotional truth, but that doesn’t mean I don’t enjoy its facsimile of such. But “Memphis” felt even more genuine that it ever has before, and it was a truly wonderful episode. “Memphis” was an excellent entry into the road trip episode genre, where two characters go on a journey both physical and metaphorical. 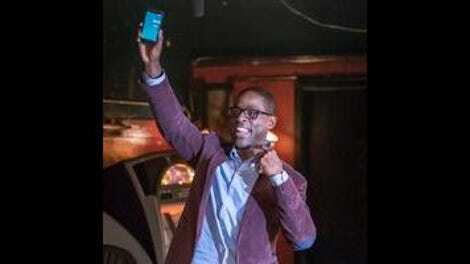 Rather than pay lip service to the other characters, “Memphis” belongs entirely to Randall and William, whose relationship has remained the most compelling relationship on a show built on intertwined relationships. Instead of bouncing back to the adolescence of the Big Three or the earlier lives of Jack and Rebecca, “Memphis” dedicates itself to William’s story. From the first episode on, William has done his work to win us over. In the pilot, he was the junkie who abandoned his son, but by the end of his time on This Is Us, he gets justification and a backstory. He was a former genius who could have made it big with his cousin (Atlanta’s Brian Tyree Henry, almost rendered unrecognizable in old man makeup). He was a man in pain, himself grieving the loss of his mother. William acknowledges he’s not blameless in his own downfall, but at least we get to see the downfall and its impetus. “I want them to remember looking up at me, not down,” William says to Randall about Beth and his granddaughters. Randall gave William the ability to decide how he was going to be viewed by the girls, something that he didn’t have the option of dictating for most of his life. “Memphis” similarly allowed us to change our perspective as well. Perhaps I had succeeded in deluding myself that, because William had become such an important part of the This Is Us ensemble, he would somehow make it out of this one. 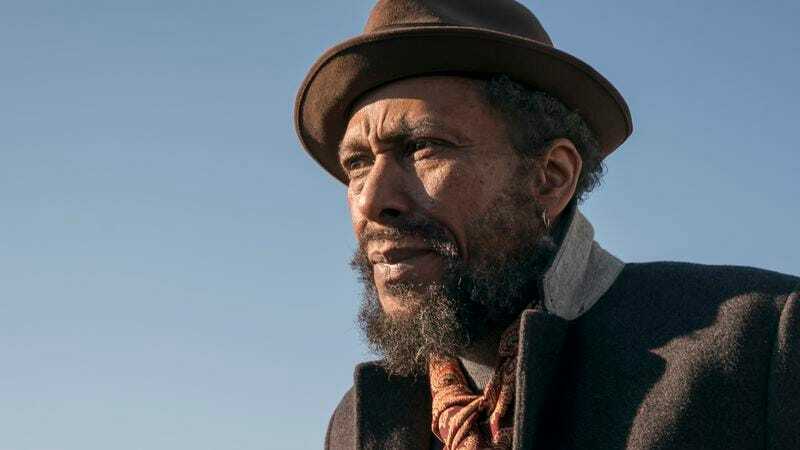 He would make some incredible recovery that I would roll my eyes at for its convenient timing, but secretly be fine with because it would mean more time with Ron Cephas Jones, who has made William such a fully formed and entirely charming character over the course of the first season. But William could never really make it out alive, and if losing him meant getting “Memphis,” then perhaps it was worth it. This episode felt different from the rest as William sat by Jack’s tree and paid his respects. From one father to another, William said, “I would have liked to have met my father’s son.” It was such a lovely and pure moment. Jones didn’t overplay it; he kept it simple. His voice was full of gratitude, just a man at the end of his life giving thanks to another man for stepping in and doing something he was not capable of doing himself. In a way though, he wasn’t just thanking Jack for raising Randall, but for raising him in such a way that he might be able to experience the perfect bookend to a life that was not a happy one. That gratitude was writ large as Randall held his father as William slipped away. Jack taught Randall how to stay calm, and Randall was able to pass that onto his father. None of this would have worked without the strong performances of Jones and Sterling K. Brown, who has proven time and time again that he’s the show’s creative center. He brings this childlike sweetness and excitement to Randall that Jones mirrors as he finds the toy he hid in his old house. “I left them here once and after all these years later, they’re still here. Isn’t that something?” William says. “Isn’t it strange how the world sticks and moves like that?” That could really be the mantra for the entire show; as the Pearsons, to move forward in their lives, continue to reflect the past already lived out by Jack and Rebecca. The circumstances aren’t entirely the same, but some things always stick, while others change. William: Roll all your windows down, Randall. Crank up the music, crank up that ’fro. Let someone else make your bed. Randall: I like making my damn bed, old man. William: Then make it. You deserve it, You deserve the beautiful life you made. You deserve it, Randall, my beautiful boy, my son. I’m crying just reading those lines back, thinking of the way Jones delivered them. It was a moment of emotional honesty and beauty, something that I was okay with This Is Us not reaching on a regular basis. But the show exceeded my expectations, and it was worth the wait. Brian Tyree Henry and Sterling K. Brown are apparently best friends in real life, and I would like to be invited to that dinner party, please and thank you.